Last edited by discounthobo159; 08-31-2016 at 11:09 PM. I think it's gonna be a prequel. Quaritch isn't Jesus yet. Tbh it could be a prequel + a sequel in one movie. 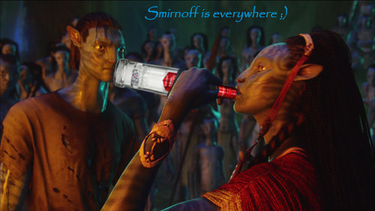 We see some (untold) moments from the Avatar 1 era, then we get to see what happens after Jake wakes up as a true Na'vi. hmmm but wouldnt that mean 'chopping' the film in two having two different plot lines at once (prequel and sequel) it might disconnect the audience? There are events that have possibly occured during the RDA era but remain unknown. Such scenes could be created and filmed to be used as flashbacks, parallels, etc. There are lots of ways of writing stories. Last edited by Na'vi a Kepekmì; 09-01-2016 at 12:36 AM. btw if anyone is wondering about where i read the 'prison theme' in avatar 2 its here: Avatar 2 teaser update: Film's first look to reveal a 'prison theme'? had to research michael scofield btw if you go on pandorapedia (its linked on the official avatar site) it gives you info on some underwater creatures which where not featured in avatar 1, so may be in the second one?? Last edited by discounthobo159; 09-01-2016 at 10:00 PM. I think it will be sequels, as it seems from what Ive heard JC and Landou say that they want to continue forward (not ruling out flash backs though) as for the plot, who knows what JC isgoing to treat us with, I voted IDK, but I do think the oceans will get more screen time, but to what extent of the plot, they encompass, its hard to say exactly. Last edited by discounthobo159; 09-05-2016 at 11:43 PM.